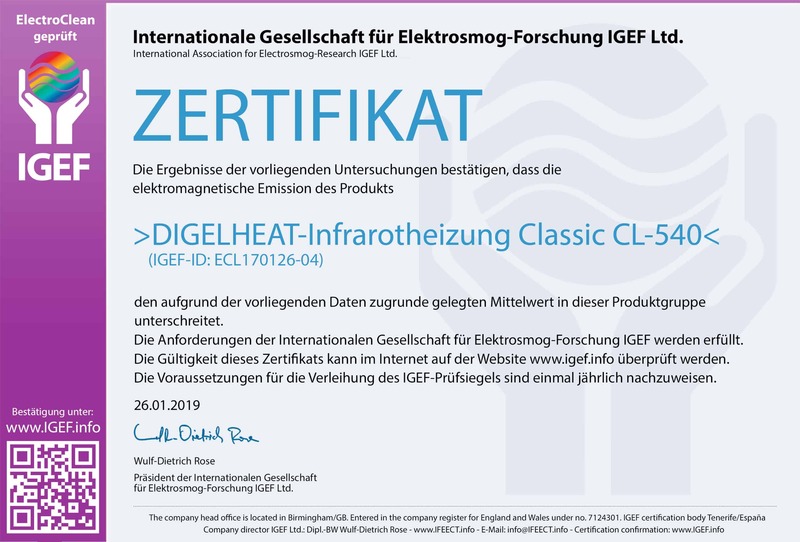 Das aktuelle IGEF-Zertifikat für das Produkt >DIGELHEAT Infrarotheizung Classic CL-540< ist bis zum 26.01.2020 gültig. ​Die Anforderungen der Internationalen Gesellschaft für Elektrosmog-Forschung IGEF für die Auszeichnung mit dem IGEF-Prüfsiegel werden erfüllt. 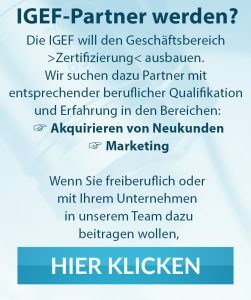 Die Voraussetzungen für die Verleihung des IGEF-Prüfsiegels sind einmal jährlich nachzuweisen. 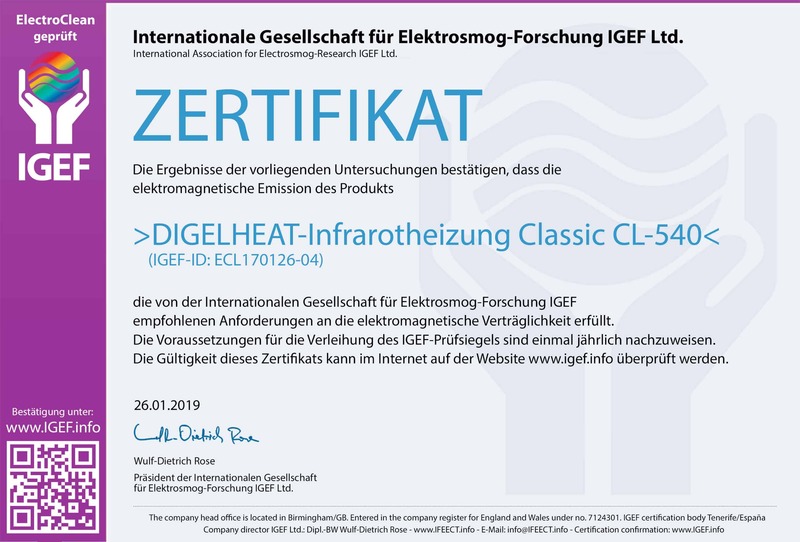 ​The results of the available investigations confirm that the electromagnetic emissions of the product >DIGELHEAT Infrarotheizung Classic CL-540< lie below the mean value for this product group. 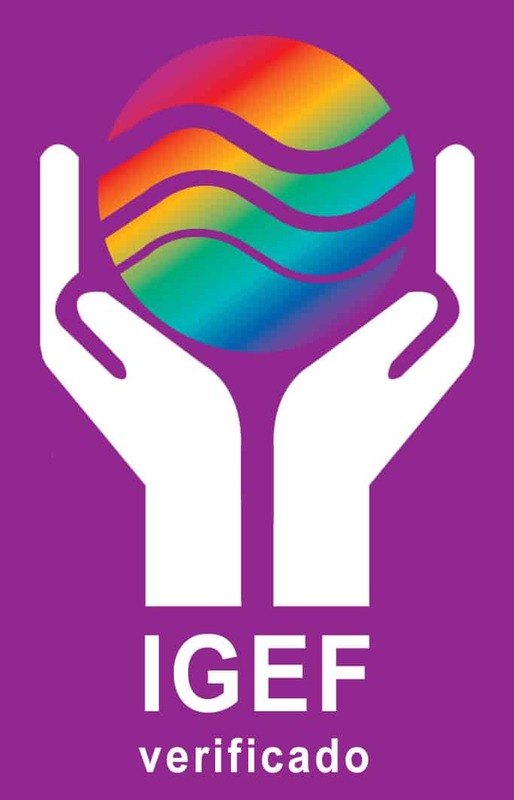 The requirements of the International Association for Electrosmog-Research IGEF for awarding the IGEF test seal are satisfied. The preconditions for awarding the IGEF test seal must be verified once yearly. 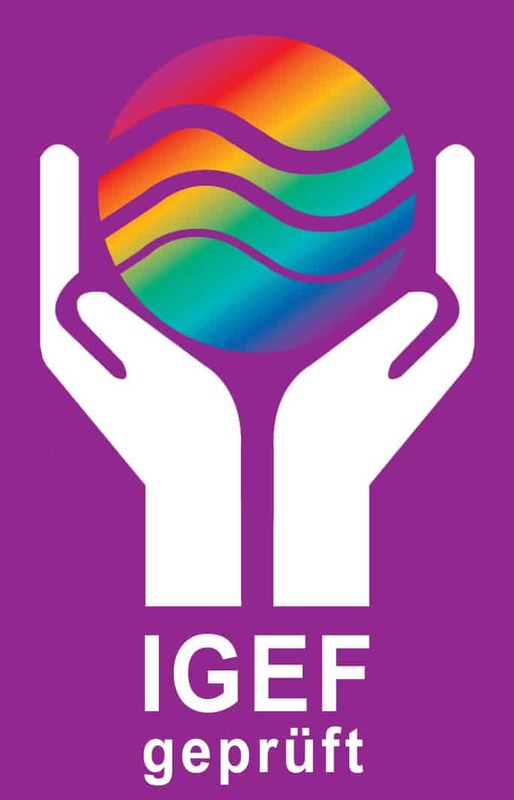 ​Se cumplen las exigencias de IGEF (Internationale Gesellschaft für Elektrosmog-Forschung) para la distinción con el sello de control IGEF. El cumplimiento de los requisitos para la concesión del sello de control IGEF debe demostrarse una vez por año. Los resultados de las presentes investigaciones confirman que la emisión electromagnética del producto >DIGELHEAT Infrarotheizung Classic CL-540< es inferior al valor medio de este grupo de productos.